Everybody loves face masks. Whenever the topic of beauty comes up among friends or industry folk, I always get asked what’s a good face mask to get now. I’m not easily impressed, and I demand immediate results from my masks. 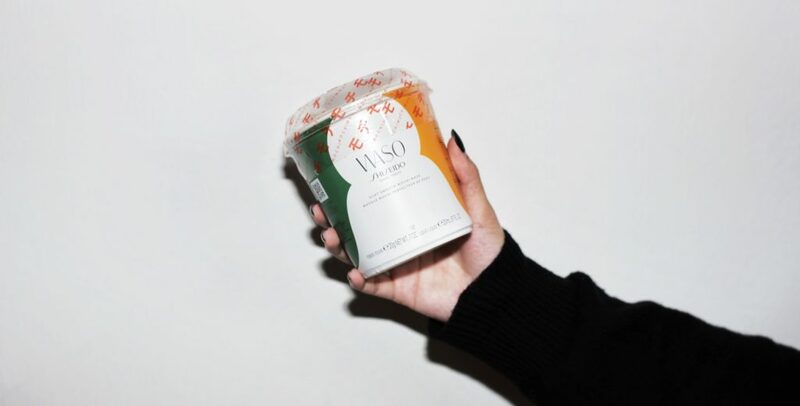 In 2017, I swore by Sulwhasoo’s Concentrated Ginseng Renewing Creamy Mask ($148 for box of 5); in 2018, it was the 111Skin Meso Infusion Overnight Micro Mask ($198 for box of 4); so when a mask comes along that performs at a reasonable price, I must talk about it. So with last night’s discovery, the year is off to a good start! 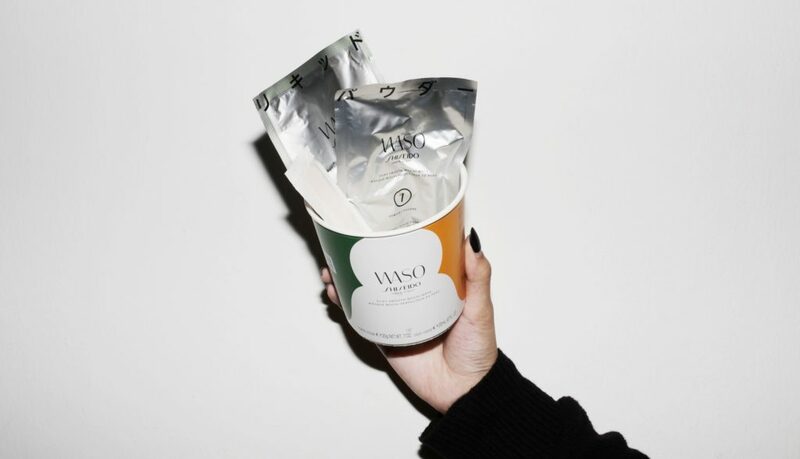 This is Shiseido’s WASO Silky Smooth Mochi Mask ($15 for one). It comes in a cardboard tub and sealed. Inside, there are two packets: 1 — a powder, and 2 — a liquid. There’s also a wrapped spatula. Step 1 — Mix the powder and liquid in the tub using the spatula. It gets doughy after only 30 seconds. The mixture starts to heat up. I wasn’t expecting the mask to heat up so much and so quickly — it reaches around 35–40 ̊C. Step 2 — Take it out of the tub and use your fingers (clean fingers!) to stretch it like mochi! I particularly liked the stretching part and probably stretched it way too many times (supposed to be 10 times, but I had so much fun I did it twice as much). Step 3 — The instructions say to divide the dough into two parts for left and right cheeks. I suggest splitting it into four parts; 2 larger for the cheeks and 2 smaller for forehead and chin. There’s more than enough mochi for the whole face. Then stretch it out onto the face the gooey mochi texture requires stretching and placing, rather than slathering), it was semi-hard. The warmth and smooth, bouncy texture feels really good on the skin — very comforting. Step 4 — After 5 minutes, peel it off downwards. Here’s a tip: hold the tub below the area you’re peeling it off, so it can drop neatly into the tub. RESULT: My skin was immediately very smooth! It looked better than normal (smaller pores and fresher! ), and felt nice. I wasn’t expecting such an immediate and very visible result. This is a super fun product that actually improves skin on the spot! I will be buying and using this again. Also, compared to the previous masks I’ve been using, $15 a mask seems very reasonable. Here’s the ASMR video from the brand. It’s very cute. But note that you can actually stretch the mask out over the entire cheeks and face, rather than place two small round circles like in the video. I’m sure the brand did that for the cuteness of it. Shiseido WASO Silky Smooth Mochi Mask, $15, available at Sephora stores from 31 Jan, and on sephora.sg from 14 Feb.